These days we're bombarded with social injustice in countless forms. We convince ourselves that change starts from within, but our actions reveal otherwise. As long as our lives remain unaffected, we go on as usual. Cyndi Lauper warned us decades ago, that money changes everything. It won't be long before we hear the next story of theft and deception. However, as long as our bank accounts remain unaffected, we go on as usual. Well known as an American singer, songwriter, writer, actress, and LGBT human rights activist, Lauper has a list of charities which she champions. Added to this, a visit to the White House and a project to help end homelessness. In my experience, people form opinions without knowing all the facts. Or if well informed, they still accept the status quo. Spending an evening with Cyndi Lauper may not change the world, but one fan at a time, the power of her music can change a mind. 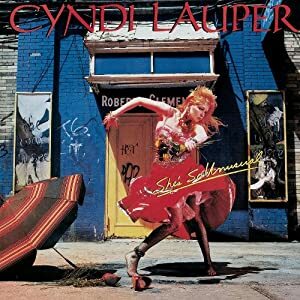 Press Release: Recorded and released in 1983, She’s So Unusual, Lauper’s debut solo album, is a colorful portrait of a unique and multifaceted talent. The album features some of Lauper’s most well-known songs and perennial radio favorites including “Girls Just Want to Have Fun,” “Time After Time,” “She Bop,” “Money Changes Everything,” and “All Through the Night.” She’s So Unusual made Lauper a household name and also cemented her place in musical history as the first female artist to have four top 10 singles on a debut album. The release went on to sell over 16 million copies worldwide and won Lauper a Grammy® Award for Best New Artist.